Written by the creators of the wildly popular Hollywood stage show and podcast, Ben Acker and Ben Blacker (Deadpool, Star Wars Adventures), and illustrated by J. Bone (Batman: The Brave and the Bold), The Thrilling Adventure Hour: Martian Manhunt is a rip-roaring adventure that harkens back to the heyday of old-time radio entertainment. 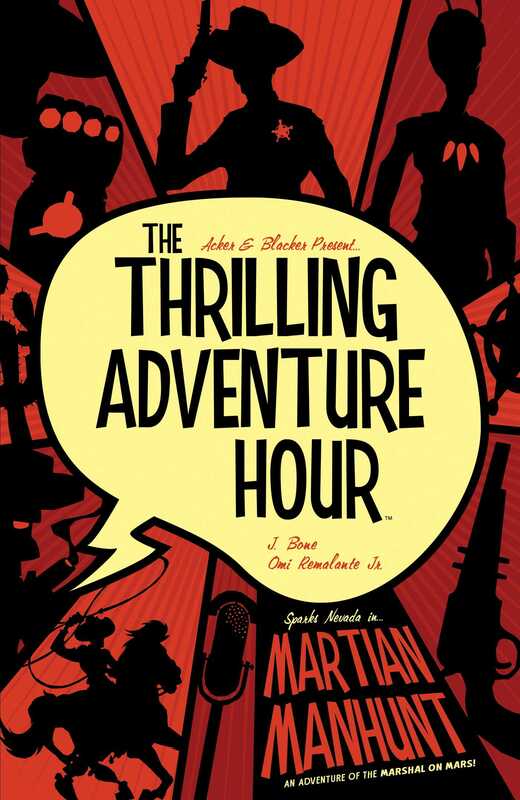 Collects The Thrilling Adventure Hour Presents: Sparks Nevada: Marshal on Mars #0-4.